EPB Fiber Archives · Stop the Cap! The online world is no longer a distinct world. It is an extension of our social, economic, and political lives. Internet access, however, is still a luxury good. Millions of Americans have been priced out of, or entirely excluded from, the reach of modern internet networks. Maria Smith, an affiliate of the Berkman Klein Center for Internet & Society and Harvard Law School, created Dividing Lines to highlight these stark divides, uncover the complex web of political and economic forces behind them, and challenge audiences to imagine a future in which quality internet access is as ubiquitous as electricity. This is the first part of a series being deployed by organizations and community leaders across the country, from San Francisco to Nashville to Washington, D.C., in an effort to educate stakeholders and catalyze policymaking that elevates the interests of the people over the interests of a handful of corporations. A federal appeals court has reversed an effort by the Federal Communications Commission to pre-empt state laws restricting municipal broadband expansion in Tennessee and North Carolina, ruling the FCC exceeded its authority by interfering with both states’ rights to define the boundaries where the community broadband networks can and cannot operate. In a near-unanimous decision (with some minor dissent from one judge), judges from the Sixth Circuit Court of Appeals found the FCC exceeded their authority. In other words, the court ruled that the FCC’s belief that Section 706 of the Telecommunications Act of 1996 allowed it to pre-empt state broadband laws goes too far. The judges opined Congress would have to rewrite the law to clearly state it was acceptable for the federal branch of government to overrule how a community or state decides to draw boundaries for public utilities. 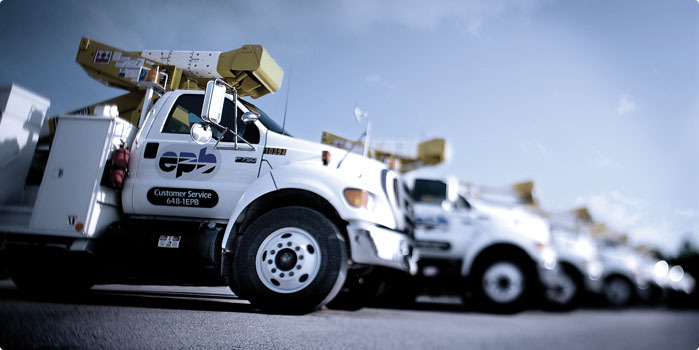 EPB is the municipal utility in Chattanooga, Tenn. The ruling will have an immediate impact on plans by municipal utility EPB in Chattanooga and city-owned provider Greenlight in Wilson, N.C., to expand service outside of their respective service areas. EPB has been working inside the Tennessee legislature to overturn or change the current broadband law but has been unsuccessful so far. Comcast and AT&T have lobbied the Tennessee legislature to keep municipal competitors from expanding, even where neither company offers service. Greenlight announces gigabit service for Wilson, N.C.
North Carolina’s law was effectively drafted by Time Warner Cable, who shepherded the bill through the Republican-controlled state legislature, making huge political campaign contributions along the way, eventually winning enough votes to see the bill become law. 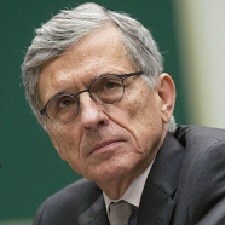 The ruling is a serious blow to FCC chairman Thomas Wheeler, who made municipal broadband expansion one of his active agenda items at the FCC. Wheeler believed the two state laws were not supposed to inhibit rural broadband expansion. Critics of the laws contend they were written and lobbied for by the same incumbent cable and phone companies that could eventually face competition from public broadband networks. The ruling can be appealed to the U.S. Supreme Court, and the FCC has an excellent chance of getting the high court to overturn today’s decision. 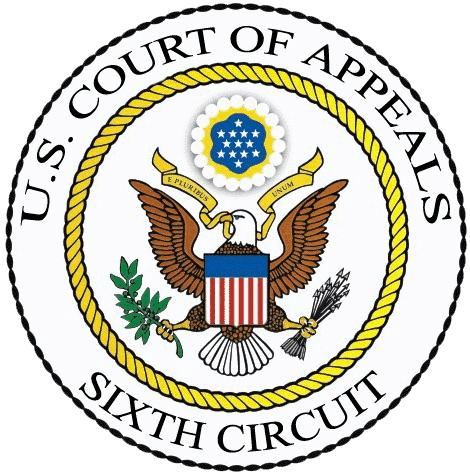 Rulings issued by the Sixth Circuit were reversed by the Supreme Court 24 out of the 25 times they were reviewed in the five annual terms starting in October 2008 and ending in June 2013 — the highest number of any federal appellate court during that time period. Broadband activists can also return to the two state legislatures and urge that the broadband laws be modified or repealed. Wheeler seems ready to join the fight. AT&T, Comcast, and Charter have surrounded the city of Cleveland, Tenn., (population 42,774) for more than 20 years, yet after all that time, there are still many homes in the area that have no better than dial-up Internet access..
An effort to extend municipal utility EPB’s fiber to the home service into the community just northeast of Chattanooga on Interstate 75, has run into organized political opposition campaign, part-sponsored by two of the three communications companies serving the area. Tennessee state Reps. Dan Howell and Kevin Brooks, both Cleveland-area Republicans, understand the implications. With AT&T, Comcast, and Charter resolute about not expanding their coverage areas anytime soon, the only chance Cleveland has of winning world-class broadband anytime in the reasonable future is through EPB, which has already offered to extend service to at least 1,000 customers in rural Bradley County in as little as three months. Most of those customers now rely on dial-up Internet services, because no broadband is available. Reps. Howell and Brooks are trying to get the the red tape out of the way so EPB can proceed, but the Tennessee legislature hasn’t budged. There is a substantial difference between 30kbps dial-up and 100Mbps — one of the “budget” Internet tiers available from EPB. But some Tennessee lawmakers and corporate-backed special interest groups don’t care. To them, stopping public broadband expansion is a bigger priority, and they have attempted to stall, block, or prohibit municipal broadband, just to protect the current phone and cable companies that are among their generous contributors. In 2010, Chattanooga became the first in America to enjoy gigabit residential broadband speed not because of AT&T, Comcast, or Charter, but because of the publicly owned electric company, EPB. So what’s the problem with that? The fact EPB spent $320 million on the fiber optic network — about $100 million of that coming from a federal grant — keeps some conservatives, corporate executives, and telecom shareholders up at night. They object to the public funding of broadband, calling it unfair competition for the two incumbent cable companies and one phone company, which have their own “privately funded” networks. Republican Rep. Mike Carter, who serves Ooltewah, thinks that’s a lot of nonsense. He notes AT&T and other providers already receive government funding to service outlying areas that no other providers dare to tread for a lack of return on their investment. Justin Owen, president and CEO of the Beacon Center of Tennessee, is dismissive of Carter’s willingness to bend his principles. In his view, those without Internet access have other options instead of getting EPB Fiber on the public dime. “You can get satellite Internet,” said Owen, who added that governments that invest in fiber technology could be “left behind by disruptive innovation,” which in his mind could be satellite Internet. Satellite customers would disagree. Hundreds of customers shared similar stories about their experience with satellite Internet, and they don’t believe it will be disruptive to anything except their bank account. Owen and his group have not revealed many details about where its funding comes from, but the group is a member of the State Policy Network, which receives financial support from AT&T, Time Warner Cable, Verizon and Comcast. 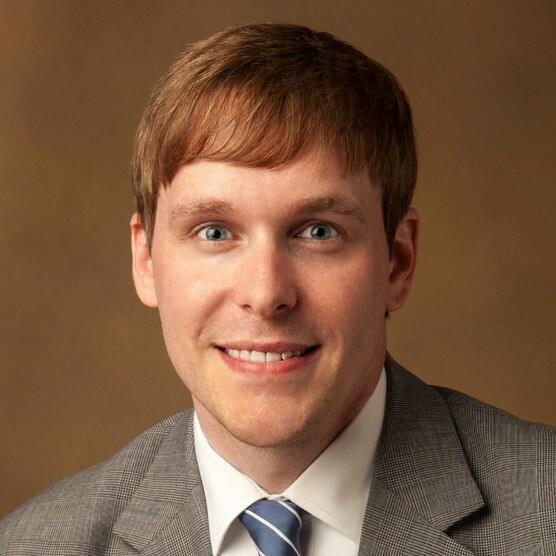 The group’s former leader, Drew Johnson, was also a former opinion page columnist at the Times-Free Press and used column space to criticize EPB and other issues that ran contrary to AT&T’s agenda in Tennessee. Despite support from the Chattanooga area’s Republican delegation, many legislators from outside the area remain firmly in support of the telecom companies and their wish to limit or destroy community broadband projects like EPB, claiming they are redundant or are based on faulty business plans likely to fail. But while Comcast used to dismiss EPB’s gigabit service as unnecessary and AT&T considered gigabit speeds overkill, both companies are now racing to deploy their own gigabit networks in Chattanooga to compete. The residents of Cleveland without broadband today probably won’t have it tomorrow or anytime soon. Many are hoping the Tennessee legislature will relent and let EPB solve their broadband issues once and for all. Cleveland resident Aaron Alldaffer is trying to help gin up interest in a renewed legislative push for EPB Fiber expansion with a Change.org petition. The worst enemy of some advocacy groups writing guest editorial hit pieces against municipal broadband is: facts. 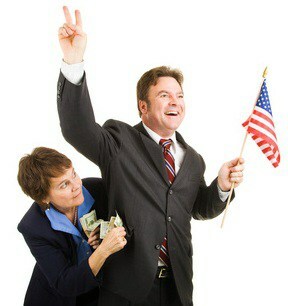 It is not the role of the government to use taxpayer resources to compete with private industry. Government is highly inefficient — usually creating an inferior product at a higher price — and is always slower to respond to market changes. Do we really want government providing our Internet service? Government-run health care hasn’t worked so well, so why would we promote government-run Internet? Phillip Dampier: Corporate talking point nonsense regurgitated by Mr. Lopez isn’t for the good of anyone. Lopez’s claim that only private providers are good at identifying what customers want falls to pieces when we’re talking about AT&T and Comcast. Public utility EPB was the first to deliver gigabit fiber to the home service in Chattanooga, first to deliver honest everyday pricing, still offers unlimited service without data caps and usage billing that customers despise, and has a customer approval and reliability rating Comcast and AT&T can only dream about. Remarkably, other so-called “small government” advocates (usually well-funded by the telecom industry) immediately began beating a drum for Big Government protectionism to stop EPB by pushing for a state law to ban or restrict publicly owned networks. Our Legislature considered a bill this session that would repeal a state municipal broadband law that prohibits government-owned networks from expanding across their municipal borders. Thankfully, it failed in the House Business and Utilities Subcommittee, but it will undoubtedly be back again in future legislative sessions. The legislation is troubling because it will harm taxpayers and stifle private-sector competition and innovation. Or more accurately, it will make sure Comcast and AT&T can ram usage caps and higher prices for worse service down the throats of Tennessee customers. EPB’s broadband pricing. Higher discounts possible with bundling. Lopez also plays fast and loose with the truth suggesting the Obama Administration handed EPB a $111.7 million federal grant to compete with Comcast and AT&T. In reality, that grant was for EPB to build a smart grid for its electricity network. That fiber-based grid is estimated to have avoided 124.7 million customer minutes of interruptions by better detection of power faults and better methods of rerouting power to restore service more quickly than in the past. Public utilities can run smart grids and not sell television, broadband, and phone service, leaving that fiber network underutilized. 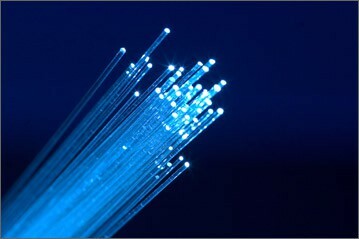 EPB decided it could put that network to good use, and a recent study by University of Tennessee economist Bento Lobo found EPB’s fiber services helped generate between 2,800 and 5,200 new jobs and added $865.3 million to $1.3 billion to the local economy. That translates into $2,832-$3,762 per Hamilton County resident. That’s quite a return on a $111.7 million investment that was originally intended just to help keep the lights on. So EPB’s presence in Chattanooga has not harmed taxpayers and has not driven either of its two largest competitors out of the city. Not all consumers access the Internet the same way. According to the Pew Research Center, Hispanics and African-Americans are more likely to rely on mobile broadband than traditional wire-line service. Indeed, minority communities are even more likely than the population as a whole to use their smartphones to apply for jobs online. […] Additionally, just like people are getting rid of basic at-home telephone service, Americans, especially minorities, are getting rid of at-home broadband. In 2013, 70 percent of Americans had broadband at home. Just two years later, only 67 percent did. The decline was true across almost the entire demographic board, regardless of race, income category, education level or location. Indeed, in 2013, 16 percent of Hispanics said they relied only on their smartphones for Internet access, and by 2015 that figure was up to 23 percent. That drop in at-home broadband isn’t because fewer Americans have access to wireless broadband, it’s because more are moving to a wireless-only model. The bureaucracy of government has trouble adapting to changes like these, which is why government-owned broadband systems are often technologically out of date before they’re finished. In some form, cost is the chief reason that non-adopters cite when permitted to identify more than one reason they do not have a home high-speed subscription. Overall, 66% of non-adopters point toward either the monthly service fee or the cost of the computer as a barrier to adoption. So it isn’t that customers want to exclusively access Internet services over a smartphone, they don’t have much of a choice at the prices providers like Comcast and AT&T charge. Wireless-only broadband is also typically usage capped and so expensive that average families with both wired broadband and a smartphone still do most of their data-intensive usage from home or over Wi-Fi to protect their usage allowance. EPB runs a true fiber to the home network, Comcast runs a hybrid fiber-coax network, and AT&T mostly relies on a hybrid fiber-copper phone wire network. Comcast and AT&T are technically out of date, not EPB. Top EPB officials argue that residents in Bradley County are clambering for EPB-offered Internet service, but the truth is Bradley County is already served by multiple private Internet service providers. Indeed, statewide only 215,000 Tennesseans, or approximately 4 percent, don’t have broadband access. We must find ways to address the needs of those residents, but that’s not what this bill would do. This bill would promote government providers over private providers, harming taxpayers and consumers along the way. Outlined section shows Bradley County, Tenn., east of Chattanooga. The legislation would remove territorial restrictions and provide the clearest path possible for EPB to serve customers and for customers to receive high-speed internet. State Rep. Dan Howell, the former executive assistant to the county mayor of Bradley County, was in attendance and called broadband a “necessity” as he offered his full support to helping EPB, as did Tennessee State Senator Todd Gardenhire. So while EPB’s proposed expansion threatened Comcast and AT&T sufficiently to bring out their lobbyists demanding a ban on such expansions in the state legislature, neither company has specific plans to offer service to unserved locations in the area. Only EPB has shown interest in expansion, and without taxpayer funds. The facts just don’t tell the same story Lopez, AT&T, and Comcast tell and would like you to believe. EPB has demonstrated it is the best provider in Chattanooga, provides service customers want at a fair price, and represents the interests of the community, not Wall Street and investors Comcast and AT&T listen to almost exclusively. Lopez would do a better job for his group’s membership by telling the truth and not redistributing stale, disproven Big Telecom talking points. Entrenched telecom industry lobbyists and a legislature enriched by their campaign contributions chose the interests of AT&T, Comcast, and Charter Communications over the broadband needs of rural Tennessee, killing a municipal broadband expansion bill already scaled down to little more than a demonstration project. The Tennessee House Business and Utilities Subcommittee voted 5-3 Tuesday to end efforts to bring much-needed Internet access to rural Hamilton and Bradley counties, long ignored or underserved by the state’s dominant telecom companies. 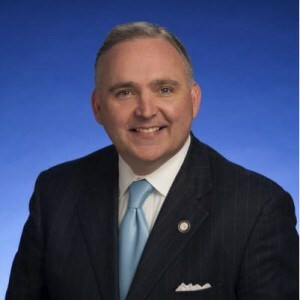 Rep. Kevin Brooks’ (R-Cleveland) original bill would have allowed Chattanooga-based EPB and other publicly owned utility services to expand fiber broadband and television service to other electric co-ops around the state. Realizing his bill would be voted up or down by members of a committee that included one former AT&T executive and others receiving substantial campaign contributions from some of Tennessee’s largest phone and cable companies, he reduced the scale of his own bill to a simple demonstration project serving a limited number of customers. The bill failed anyway, in a vote that took less than a minute. Rep. Marc Gravitt (R-East Ridge) voted for Brooks’ amendment and Rep. 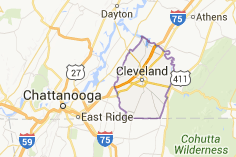 Patsy Hazlewood (R-Signal Mountain), a one-time AT&T executive, voting against it. As Rep. Kent Calfee (R-Kingston), the subcommittee’s chairman, prepared to move on to the next bill, he suddenly realized the original bill remained before the panel. “Sorry about that,” Calfee said. Residents and business people alike in northern Hamilton and portions of Bradley counties say they either have no service, lousy service or wireless service that makes it very expensive to upload and download documents for work and school. EPB provides municipal power, broadband, television, and telephone service for residents in Chattanooga, Tenn.
Brooks’ bill did attract considerable interest – from telecom industry lobbyists who flooded the state legislative offices with a mission of killing it. The Tennessee newspaper said a “platoon of lobbyists and executives, including AT&T Tennessee President Joelle Phillips,” poured into the House hearing room or watched on nearby video screens to scrutinize the vote. “I heard they hired 27 lawyers to fight,” Brooks said. Rural Tennessee Republicans were disappointed by the outcome, which leaves substantial parts of their districts unwired for broadband. Rep. Mike Carter (R-Ooltewah), also has a bill being held up in the legislature that would allow expansion of public broadband with the consent of citizen members of co-ops and elected leaders of the rural utilities. Carter didn’t seem too surprised municipal broadband bills like his were being delayed or killed in the state legislature at the behest of AT&T and other companies. “You just don’t go up against Goliath unless you have your sling and five stones. I just didn’t have my five stones today,” Carter said. AT&T declared the bill was flawed, arguing in a statement it was not opposed to municipal broadband, so long as it was targeted only to customers unserved by any other provider. AT&T complained Brooks’ bill lacked language protecting them from unwanted competition. “None of the bills considered … has any provision that would limit government expansion to unserved areas or even focus on those areas,” AT&T wrote. Less than 24 hours after the vote ended Charter Communications had a special message for members of the legislature. The cable operator sent invitations to Tennessee lawmakers giving them free airtime to star in their own “public service announcements” that will blanket the screens of Charter cable TV customers, giving the politicians free exposure. 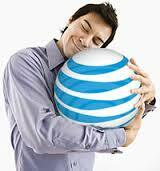 Rep. Calfee’s second largest contributor is AT&T. Charter’s director of government affairs for Tennessee was the executive extending the invitation. “Right now it would appear to those watching from the outside that big business won and big business is now reciprocating,” said Brooks. Sen. Todd Gardenhire (R-Chattanooga) called the invitation inappropriate. 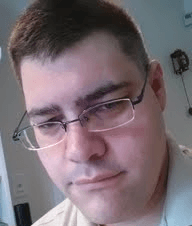 “Charter has done everything they could possibly do to deny rural Bradley broadband, Internet/content service,” Gardenshire told the Times Free Press.